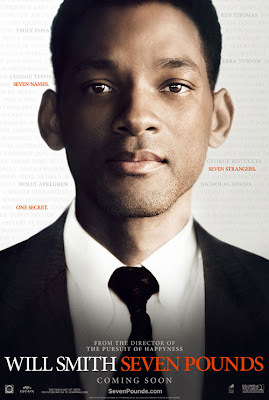 A tragic story of redemption, Seven Pounds unfolds scene after scene like a mystifying jigsaw puzzle. When the pieces finally fit in, is when we see the whole picture. Like we say at the blog, again and again, the best films are best experienced, so go watch the movie at a theatre near you. The less you know, the better.